The feature that excited many people following the announcement of the release of the new iPhone X was Apple’s new Animojis. These Animojis –that are a new fun way of communication are made possible with the front facing TrueDepth camera system and gives the effect that the Animoji is using your voice to talk. But the only way you can make use of these Animojis is while using iMessage. Once you have sent an Animoji to somebody using iMessage, you can save it and send it to other people on apps such as WhatsApp and Skype as well. Animoji is a very new, exciting and distinct feature of iPhone X. While it is thought that this is a feature only iPhone users can enjoy, there is a very easy way you can save the Animoji video and share it with your non-iPhone user friends on WhatsApp. This article will tell you just how to send animated emoji on WhatsApp. 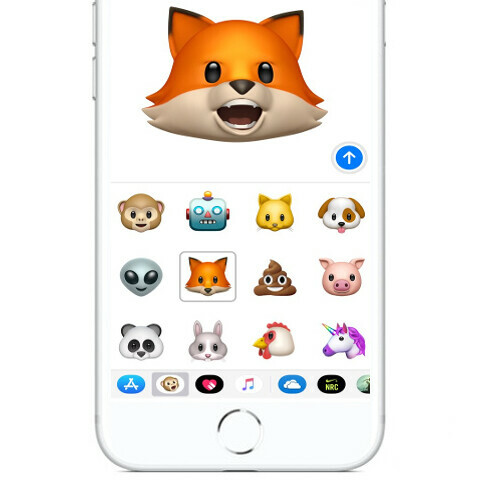 You start off by sending your friend or anyone you like to send this Animoji in iMessage. Record the Animoji which can be up to ten seconds long, and then send it. Once the iMessage has been sent, you can tap on the Animoji you just created. Save it to the camera roll on your iPhone by clicking on the Save Video option. Once the Animoji is saved in your photos, this iMessage video can be easily shared and transferred to WhatsApp. This can be done by tapping on the video of the Animoji you have saved and pressing the share button in the bottom left corner. There you can select the apps you want to share the video and then click send. The great thing about Animojis is that if they are sent to another iMessage user, it would appear to them the same way it would appear to someone who has an iPhone 8 or even the earlier models. On any other device, they show up as a small video message. This way you can also have a fun conversation with friends who don’t use an iPhone. Animojis have started to revolutionize the way people communicate with each other. So whether you want to drag this animated emojis in your conversation to create an animoji ticker or just send it as a video, don’t forget to switch between the animoji characters and most importantly to enjoy this latest new feature introduced by Apple. Share this article with friends so that your conversations may stay interesting forever!